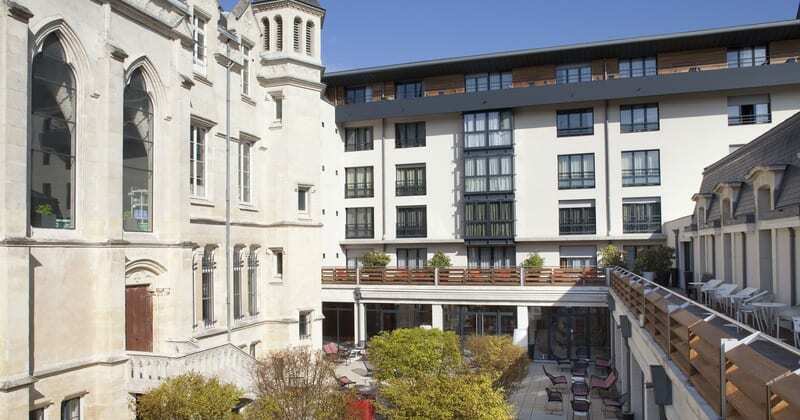 Hotel de la Paix Reims is a modern, elegant hotel situated in the city’s historic centre. The hotel’s animated brasserie opens onto the main square, while the Cathedral and Palace de Tau are within five minutes’ walk. The hotel bar provides a superb atmosphere for relaxation after all the hard Champagne tasting and sightseeing that Grape Escapes can arrange for you. 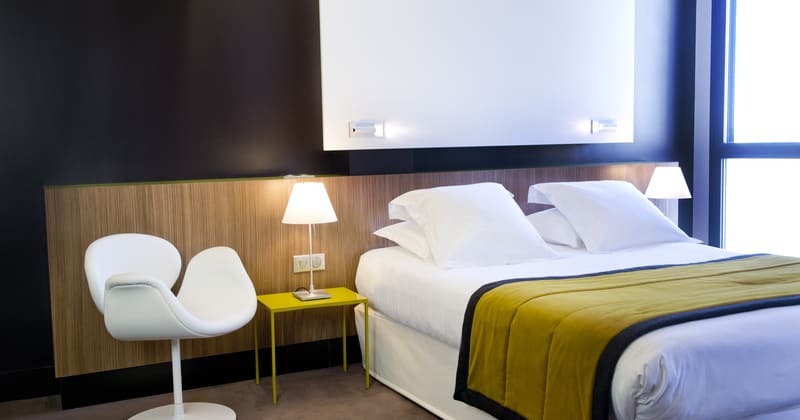 The Hotel de la Paix is perfectly located in the city centre and yet less than three minutes’ drive from the A4 motorway. Opening onto The Place Drouet d’Erlon, the hotel provides perfect access to dozens of restaurants and bars. With 177 rooms, the hotel is able to offer a wide range of amenities including a small indoor pool, fitness room, sauna and hammam. In addition to the classic wood panelled brasserie, the hotel has a cocktail bar, whose charismatic barman will entertain you for hours on end, a large breakfast room and a comfortable reception area complete with leather sofas, wireless internet access and a range of national and international newspapers. An underground car park is also available for guests, upon request, at a small extra charge. The Tradition rooms provide all of the usual amenities offered in a modern 4* hotel including en-suite bathroom, mini-bar, satellite TV and direct dial telephone. In addition to the Tradition rooms, the hotel offers large Privilège rooms and Deluxe rooms – the latter are effectively junior suites offering plenty of space to relax and unwind. As with the rest of the hotel, all bedrooms are air-conditioned.